Close to ski lifts, shops and town center activities. This luxurious townhome is located at the base of Copper Mountain, within walking distance to ski lifts and the Copper Mountain Center Village which offers shopping, dining and fun day and night activities for children and adults. This property is newly remodeled with an inviting southwestern décor. Guests will enjoy walking and biking trails as well as horse back riding in the summer and excellent skiing within walking distance in the winter. For relaxing times indoors, quests can sit by the fireplace in the living room or on the other two floors and enjoy the majestic and unobstructed views of the Copper Mountain slopes from floor to ceiling windows. The views are breathtaking. The townhome is approximately 1600 square feet of living on three floors with an attached garage located on the lower fourth level, to accommodate one large vehicle and also space for skis, bikes and other sporting equipment. The fourth level also has a washer and dryer. The main floor features a compact kitchen with granite counter tops, and dining space for six with additional counter top eating space. The living room features a gas burning fireplace, a wide-screen TV equipped with VCR and DVD, WI-FI, and comfortable seating arrangement that allows guests to take advantage of the majestic mountain views. The second floor features a large master bedroom suite that opens onto an enclosed sun porch with floor to ceiling windows, with two large closets, and a large private bathroom. The third floor features a large bedroom that opens onto a large sun porch with floor to ceiling windows and two closets. This floor also offers a third bedroom that includes a bunk bed arrangement that can sleep 2 or 4 (one large twin; one double; and one large trundle). All bedrooms have their own cable TV. The Townhome also features an outside patio off kitchen which provides space for outdoor picnicking, sunbathing, or meditation, and a community hot tub. Other amenities of Copper Mountain include (all within walking distance) a fully equipped recreation center complete with exercise equipment, basketball and indoor swimming, a golf course, and of course in the Copper Mountain Village are restaurants and fun activities. Sorry no pets are allowed and no smoking. Unit owed by a family of educators, medical profession and IT geeks. Purchased as vacation home for family many of whom like to ski, have fun in the snow or shop til you drop at Silverthorne outlet mall. Quiet, secluded yet close to fun activities. The whole family can congregate under one roof--laugh, talk and create lasting memories. Copper Mountain is close of outlet malls in Silverthorne. Resort bus available at no cost. Copper Mountain is a beauiful, scenic area that offers a variety of outdoor activities for both summer and winter. 2. Fireplace was not operating safely. 3. Carbon Mox. detector did not function properly. This property offered good value for the money. We would consider coming again. Very much enjoyed our stay. Garage space is great for storing skis. Large laundry room for storing boots, keeping them nice and warm. Large table for meals. Bunk room was great for the kids.Would definitely return next time we visit Copper Mountain. Our stay was perfect! 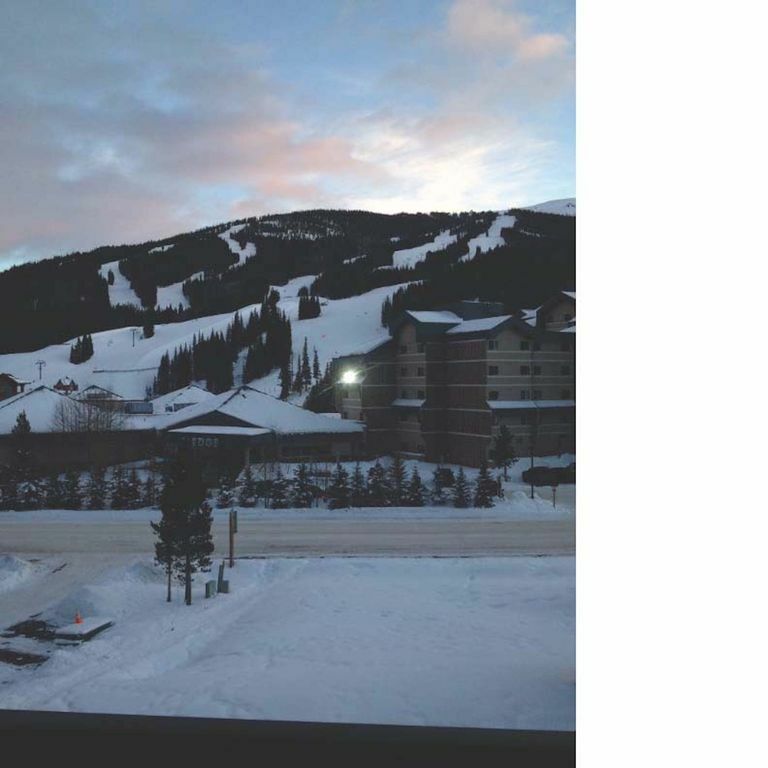 All the beauty of copper mountain and beautiful home to enjoy! All the amenities were fabulous. Loved the fire place and all the patios to enjoy! Will definetely recommend and stay again! Thanks, Glad you stay was enjoyable. Our (extended) family booked this condo for it’s spacious accommodations. There are plenty of sleeping areas (important to note that one of the bedrooms is actually a loft), and the beds are comfortable. It’s also conveniently located pretty close to Center Village. Unfortunately, the unit was under minor construction (new windows being installed) and the work was incomplete when we arrived. This had not been disclosed. There was opaque plastic on all the windows, so we could not enjoy the view, and plastic on all the staircases which proved to be a little ominous for our two small kids as it was slippery. Additionally, there were dozens of nails in and around the property (also a hazard for our kids and tires) and a lot of exposed woodwork/framing. We had hoped to stay an additional night once we got up to Copper, and I contacted the property owner to let her know about the construction hazards, but alas she mentioned it was booked by another party the following day. It was difficult to communicate (took over 24 hrs to get a return call) and no return emails. I am concerned for other renters until these issues are addressed, but it seemed as if it was brushed off a bit. The guests were informed before they arrived that the windows in the entire complex were being replaced. Before the guests arrived we (the owners) had been at the site and had witness personally the construction workers cleaning up the site, removing nails and other debris from the front porch, the driveway and the outside stairs. The construction company will confirm this and also that they had inspected the property before our guests arrived. The windows had been inspected and were safe--however, there were stickers still on the windows which were to have been removed prior to the guests arrival. We had also personally gone over the unit after the cleaning company had done their work to make sure all nails and other replacement materials were removed, and that the unit was clean before guests arrived. The guests had contacted me about staying another night, but it was booked and their request could not be accommodated. I apologize for any inconvenience caused to the guest regarding the window replacement. We had been assured by the construction company that everything would be taken care of prior to the arrival of our guests, but unfortunately the contractors did not get the tape off the windows before your arrival. This condo was a great place to stay while skiing at Copper Mountain. We stayed two nights and had no issues while we were there. The garage was also a very nice amenity to have, especially considering the snowfall each day/night while we were there. We would definitely stay here again in the future!